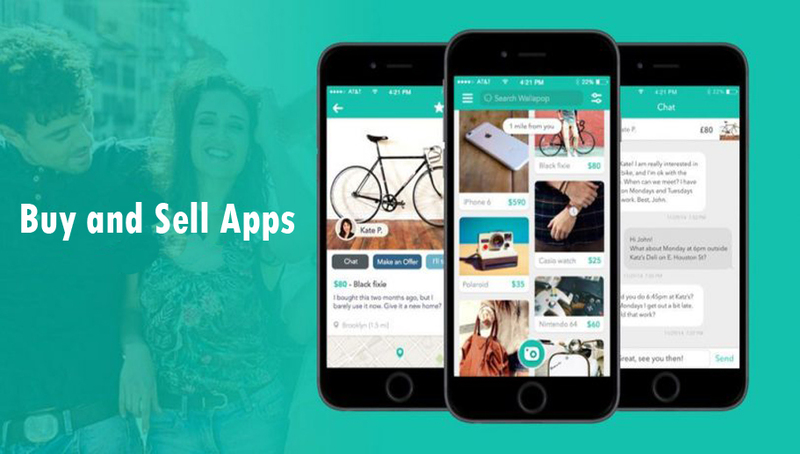 Buy and Sell Apps, Buying and selling, as it has been proved many time, is the main business everybody is involved in regardless of the fact that they are sitting in an office. Using bu Buy and Sell Apps could be a very good way for every businessman or woman to start selling at ease. As a matter of fact, these buy and sell apps can easily enable you to buy and sell items from anywhere in the world at your very own convenient time. Buy and sell apps tends to be very important because sometimes they are the only alternatives for all mobile user to use the buy and sell the platform. You see to every buy and sell app, there is already an existing website of which you can visit if you have the URL. What I mean to say is that sometimes these apps run compatibility issues with your device and gives you access to the platform. Easily connect better with customers. It is faster in selling products. Easily get feedback and updates about your products. A good way to start biding for an item and so much more. Thinking of it personally, only you can find out more benefits to these buy and sell apps. The reason I say so is because you are the one that knows what you need money for and you can’t get paid without working. This app has a lot of advantages but also has some disadvantages. However it is noted that the app is a very good app for individuals and businesses selling their goods and services in bulk. One of the disadvantages is that the marketplace fee is high. Etsy is specially designed for individuals selling arts and crafts. This means in simple terms that all users can earn a fortune by selling their crafts. The Facebook marketplace is known in most part of the world and it tends to make a big impact for your business. This is because the Facebook marketplace is a Facebook platform and Facebook is among if not the first best social media platform. The LetGo app is a very beneficial app s it is entirely free to use. Furthermore the LetGo app does not charge a sales fee for item sold on the platform. However, you will have to meet your buyer or seller face to face before you can complete a transaction as payment cannot be paid through the app. The amazon seller app is known as one of the current trending apps for buying and selling of goods and service as the platform sells almost anything. With the amazon app, you do not need to worry further about buying or selling of items and you can equally earn a fortune. The Alibaba app like the amazon app also sells almost anything and is equally a very good way to start buying and selling. With this app, you can receive instant notification and updates about your products and items.